Musical encyclopaedias offer scant information on Daniel Bollius: he was born around 1590 and died c1642, probably in Mainz. He entered the services of the Archbishop of Mainz by 1626, but most likely several years earlier as he had resigned as court organist in Sigmaringen in 1618 and there is no evidence of intermediate posts. The 'Repr�sentatio of St John' must therefore have been composed between 1618 and 1626, the year in which Johann Schweikhard, the dedicatee of the work, died. Bollius is one of the early German exponents of the new Italian style characterised by Monteverdi. 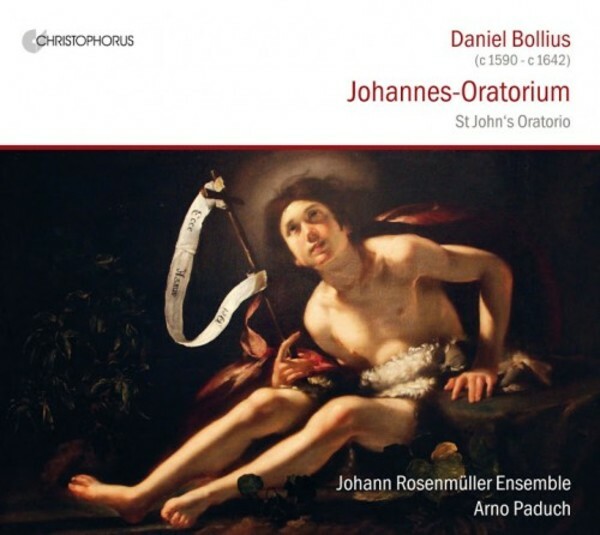 His 'Repr�sentatio' on the conception and birth of St John the Baptist has close ties with the 'Rappresentatione di Anima, et di Corpo' by Emilio de� Cavalieri, making it unique for early 17th century Germany and the first ever oratorio to be written by a German composer.